...to orange zigzags! I find myself drawn to it more and more. Hello, I love you dressing room! love you fabric. I could make pillows with you or my own napkins. Would love to have some napkins from that fabric! SO cheery. Oh my gosh! Adore the napkins! Sometimes I feel like I need chevron rehab -- I can't get enough of it too! Way good place to keep going to - I'm checking out the fabric right now! I can see why - I love orange and love zigzag! Gorgeous! I say napkins AND a pillow!! ;-) No reason your table settings can't match your decor. 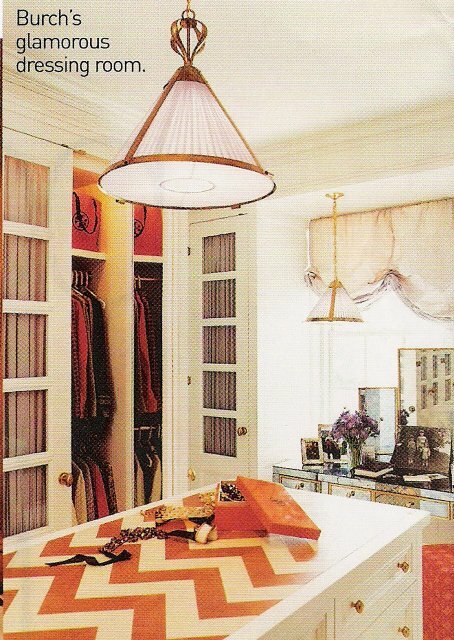 I would definitely agree, I am so drawn to orange lately and especially when in a zigzag. So much so I even had my business cards given a pop of both haha! I've been drawn to orange this fall too! and especially chevrons! I neeeedd some of that fabric! great find! I love orange zig zags! I'm so glad I'm not the only one who has been loving orange recently. Your post helped confirm it and the rest of the comments really drove it home. Though it was just me! 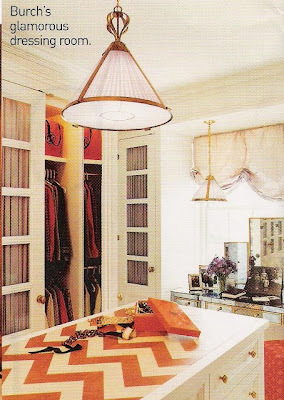 I am a fan of orange - and zig zags too lately! So fun...I love it too!! I love orange zig zags too! 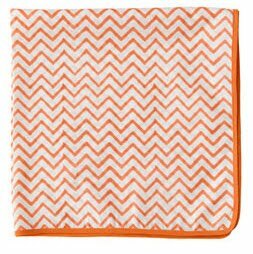 An orange chevron rug? Sigh! I would love one! That picture is so YOU! I would have said that at the first sighting! I need to give orange a try...it scares me! 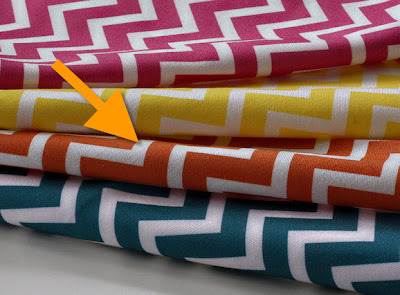 Yet another resource for the zigzag fabric...these ones are in great colorways too. gorgeous!gorgeous! true,zigzags & chevron is so adorable & can be used pretty much anywhere! I really really love that fabric. And, so happy you included the link! I think the blue might be perfect for a client's bedroom I'm working on now. Love that fabric too... adds such a fresh, fun vibe to a room.